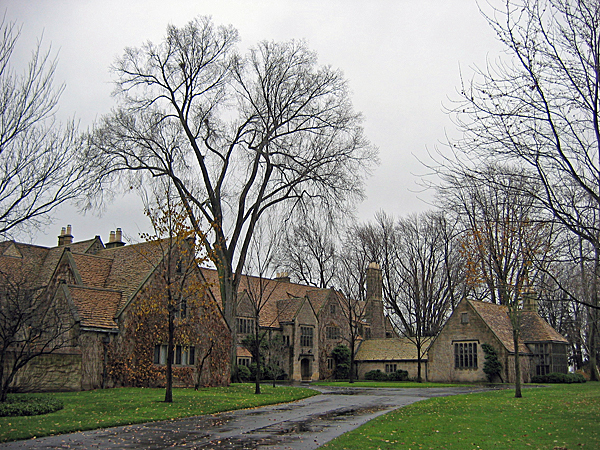 Seeking a site for a new home with more space and privacy for his family, Ford automotive heir Edsel Ford consolidated 65 acres of land north of Detroit to establish an estate property with nearly a mile of lakefront. 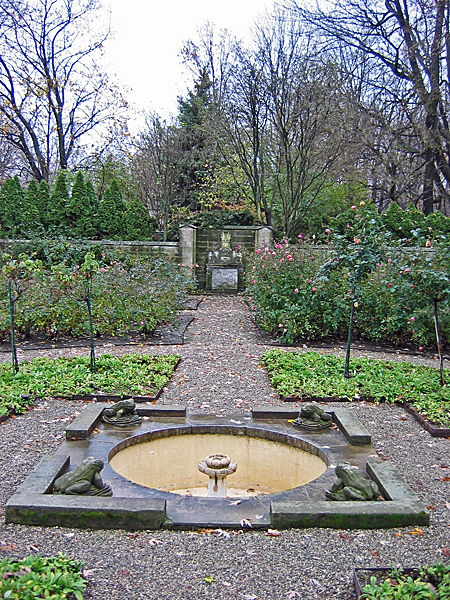 In 1926, architect Albert Kahn designed the Tudor Revival mansion while landscape architect Jens Jensen provided both overall site and specific gardens designs, including the Meadow, Flower Lane, Rose Garden, and Pool and Lagoon areas. 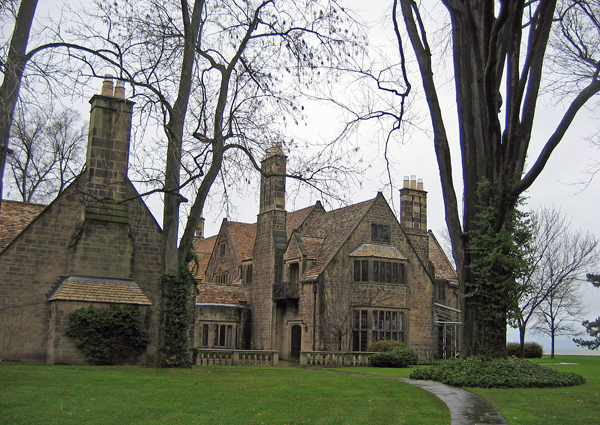 Jensen rerouted a public road to create a sense of limitless space; playing with light and shadow, he gave the mansion dramatic views, siting it near Lake St. Clair, while the entry sequence provided only partial glimpses of the estate. 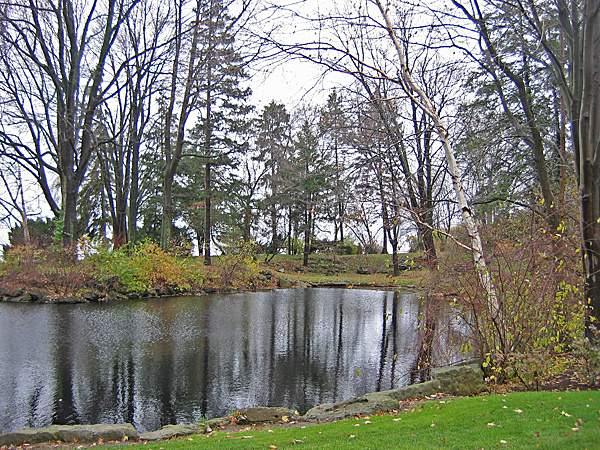 Old farm fields became grand meadows, and Jensen's redesigned lake shoreline created both a harbor for the Fords' boats and Bird Island, the bird sanctuary north of the mansion. Gaukler Pointe became the largest private commission of Jensen's career. 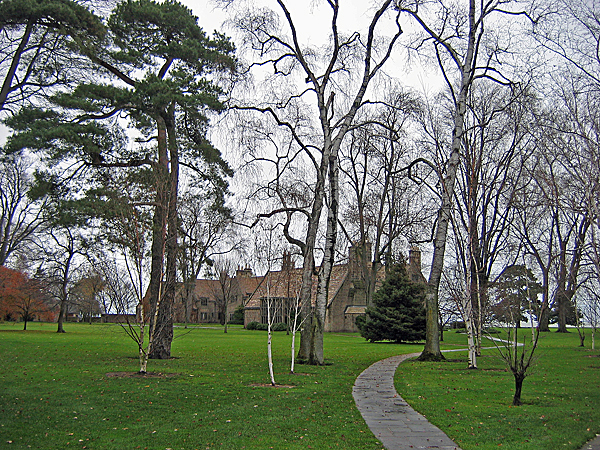 His naturalistic approach seamlessly integrated buildings and grounds into the surrounding landscape; guests were hardly aware of his design interventions. 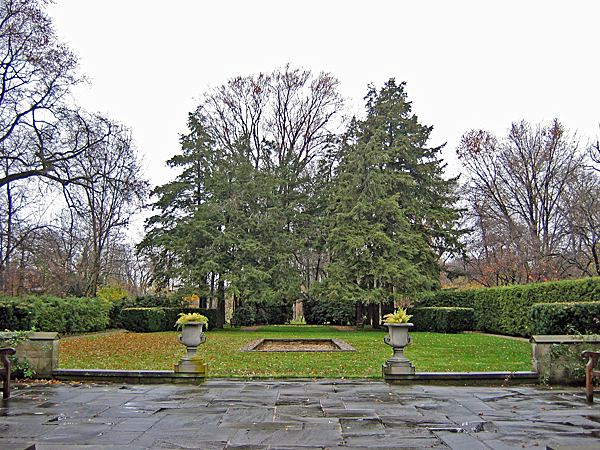 With the Ford family, Jensen also created Fair Lane, Skylands (in Maine), and the Ideal Section for the Lincoln Highway. 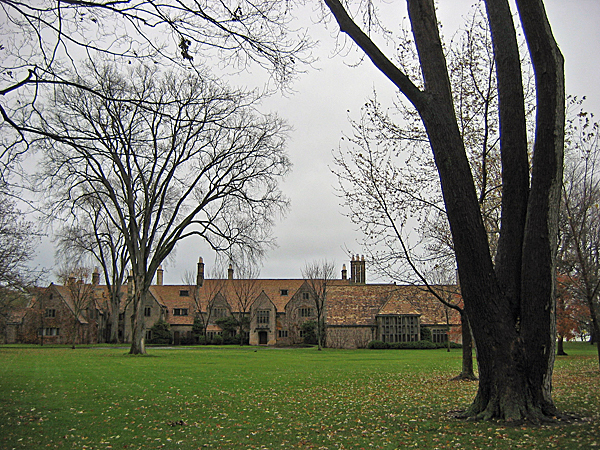 Eleanor Ford lived at Gaukler Pointe until her death in 1976, after which the estate transferred to a trust for the benefit of the public. 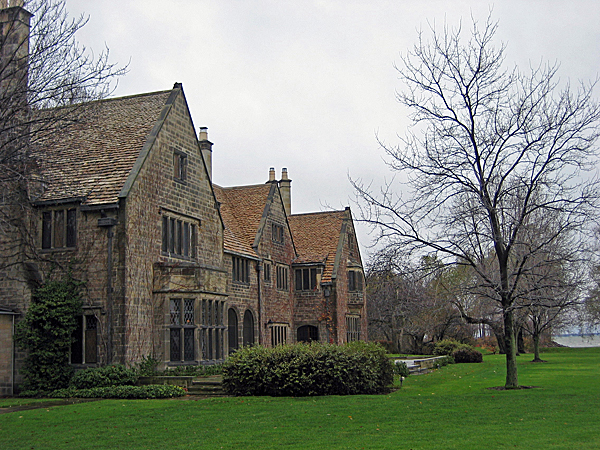 The Edsel and Eleanor Ford House was listed in National Register of Historic Places in 1979.